Offer your customers flexible coverage and 50+ years’ worth of manufactured home experience. Your customers’ manufactured homes present very different risks when compared to site-built homes, including increased risk of damage from fire, plumbing leaks and wind. Our policies give your customers flexibility with the protection they need. Title held by Corporation, LLC, Estate or Trust Homes held by an LLC, corporation or trust may qualify for coverage with American Modern. Comprehensive protection The policy covers any cause of loss, unless that cause is specifically excluded in the policy documents. Stated value loss settlement with no depreciation deduction For a total loss, we settle at the stated value of the home which is listed on the policy. There is no depreciation deduction. For partial losses, we pay the actual cash value of the loss, but it can be upgraded to a replacement cost valuation. Comprehensive protection – Covers any cause of loss unless specifically excluded. Stated value loss settlement – We settle at the stated value of the home which is listed on the policy. Other structures – Sheds, detached garages or fences are protected. Additional living expenses – If a covered peril causes sufficient damage to move out, we cover the extra living expenses until repairs are complete or a new home is found. Water damage – 100% Coverage A, $3,500 sublimit for mold and remediation. Enhanced coverage – Increased limits for additional living expenses, collapse, emergency removal, fire department surcharge, antenna/satellite dish, and more. Builder’s risk – Essential for homes just bought from a dealer, and is required by some lenders, this endorsement protects the home during the time between loan closing and occupancy. Breakdown protection – Widen the policy’s scope to include repair or replacement of major appliances, HVAC and electronics due to mechanical or electrical failure. Earthquake – This hard-to-find coverage is available in many states. Identity theft recovery – Identity theft can result in real harm being done to a person’s credit report. This special option provides professional assistance and up to $15,000 in expense reimbursement. Vandalism – Physical damage or defacement of the home is included (with Enhanced Coverage Endorsement). Theft – Personal items, or permanently attached items such as a heat pump or even copper piping are covered for loss if stolen from the home. Certain items have specific dollar limits (with Enhanced Coverage Endorsement). AMsuite Only: Multitude of discounts available. 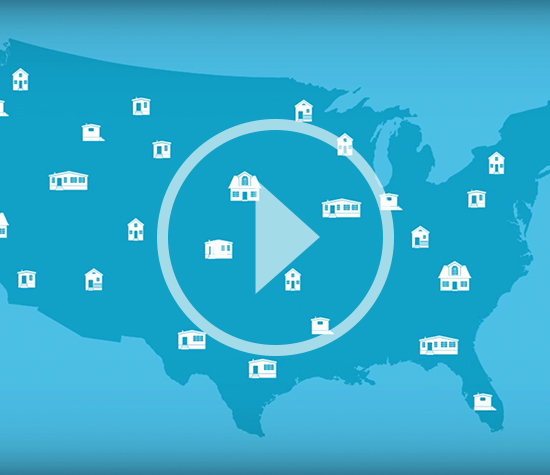 Learn why our Manufactured Home insurance is different.